Sometimes toys are great, when a concept and execution come together to produce a toy that lives on beyond its original purpose. In the 80s and 90s GI Joe lines, there have been more than a handful of them. As vehicles go, the GI Joe Skystriker stands out among its peers as a classic. Alongside the Star Wars X-Wing, it was a flying machine that saw many hours of playtime in my childhood. 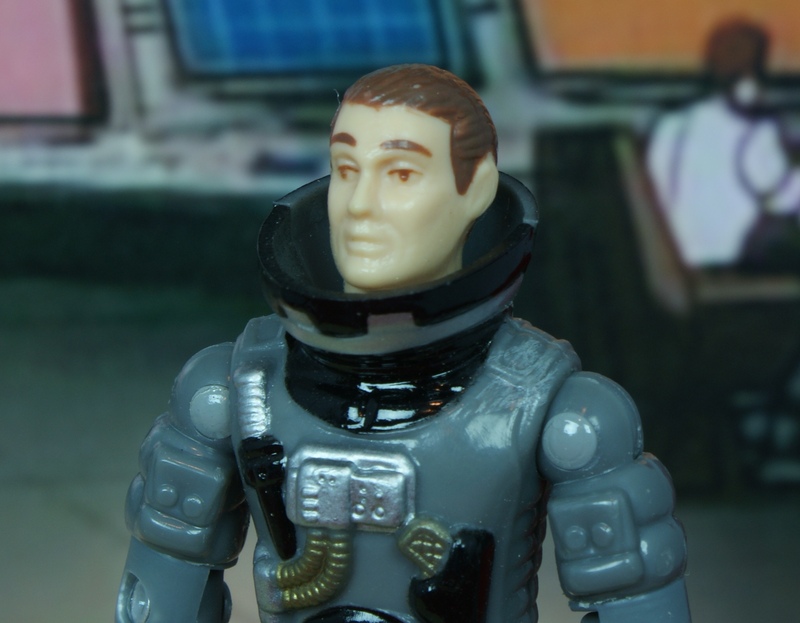 The plane’s pilot, Ace was naturally a well-used figure, albeit mostly in the cockpit. When Ace was repainted in the late 90s Toys R Us series, he got fairly simple paint job. He also unfortunately didn’t come with his classic ride. Piloting instead the Conquest X-30, he was outfitted in what I assume was meant to be a color to make him appear more modern. The effect is different from the original, yet ultimately dull. Maybe if it were a darker shade, some could have assigned him to the Night Force sub-team. As it stands, he’s simply old Ace in a dark grey flight suit. Oh, and he probably dyed his hair too. Maybe he’s meant to resemble the animation model? I’d really like to see a concept drawing of Ace to try and figure out that helmet. F-14 pilots don’t need any kind of upper atmosphere space suit, so I wonder why they departed from the norm? 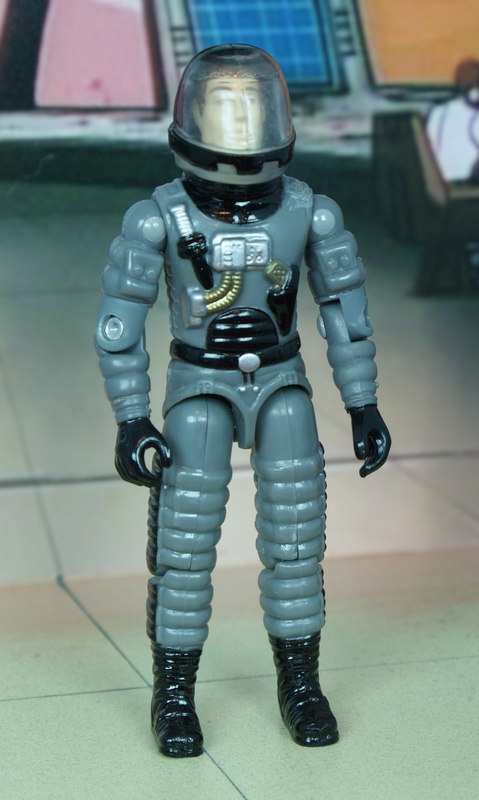 I think I like this figure more than the original, and he’s totally my Night Boomer pilot. I think you’re too hard on this figure. It’s exactly what repaints should have been: something dramatically different from the originals but still really cool. While this guy doesn’t match the vintage Skystriker, the added paint applications sure beat the two-tone vintage Ace. I haven’t checked on this guy in a while, but a couple of years ago, he was regularly selling for $50+. Which seemed odd as you could get boxed Conquests for $70. But, he was pretty uncommon at the time. I don’t know if the pricing or availability has changed recently. Hard to believe there still isn’t a cartoon version thirty years later. I thought it was great getting Ace with the X-30 at the time as I never had (and as yet still don’t) a Skystriker. The X-30 Ace comes with here is my favorite X-30 by far, and having Ace included with this X-30 still allowed my original 1986 X-30 to have Slipstream in the pilot seat. Ace here is a fine figure, but right off he sort of contrasted with 1986 Slipstream in style, as you mention he is in more of a seemingly high altitude flight suit…., almost seems more in place on the X-19 than Ghostrider to me in some ways. Ultimately, this Ace was short-lived in my collection when I was able to get the A-10 (TRU) with the battle copters repaint of Ace. That figure was quickly the go to figure for piloting one of my X-30’s. The repainted 10 year older Ace design was traded off.